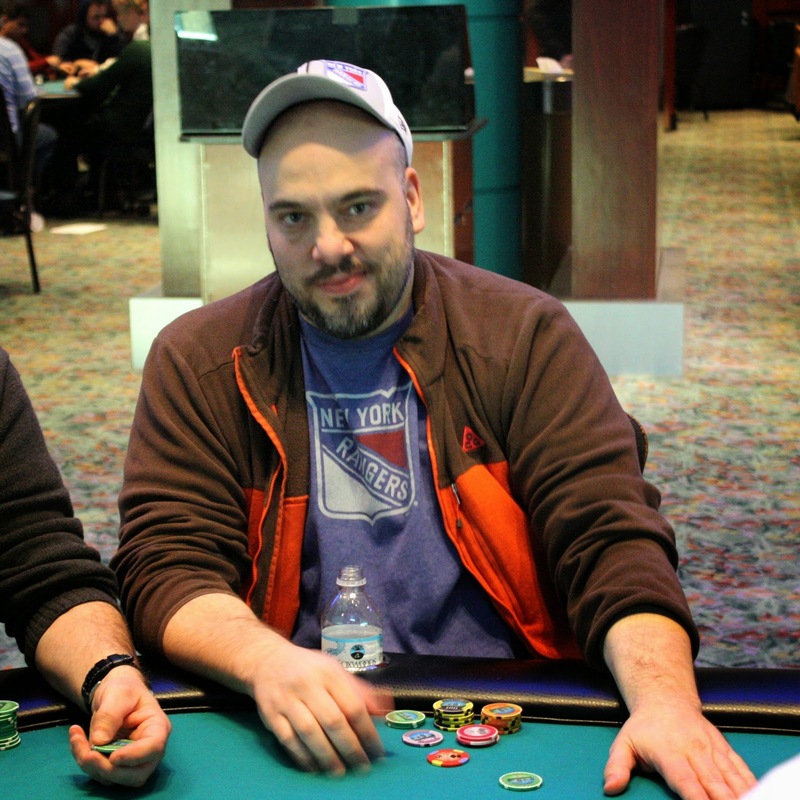 We stopped by Ryan Eriquezzo's table to see how he's doing only to see him involved in a pot. 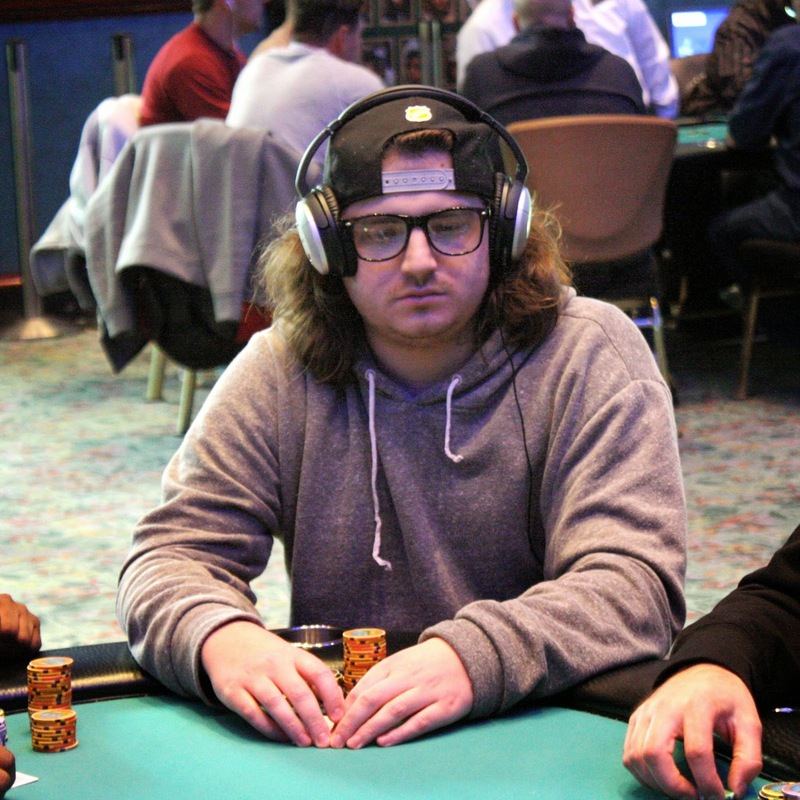 The flop was [Th][Kd][6d] and action checked to Ryan who bet 700, getting one caller from the player on his right. The action went check check on the [Tc] turn, but the [9h] river saw a bet of 500 from Ryan after his opponent checked. 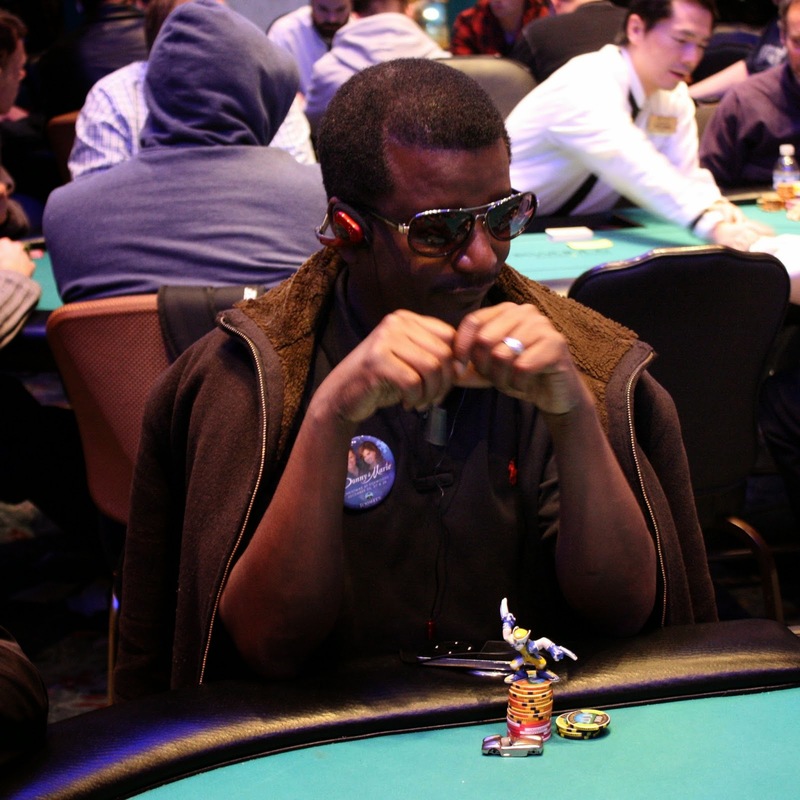 His opponent smiled as he folded, and Ryan flashed a smile as he raked in the small pot. 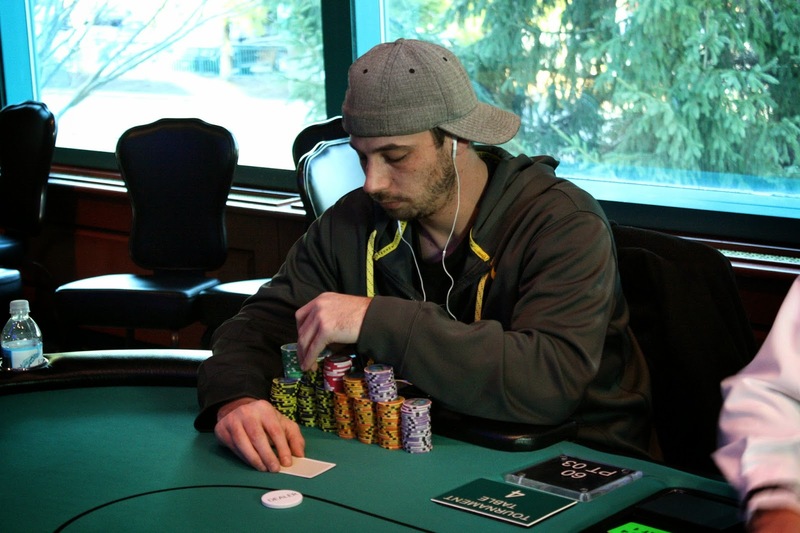 Ryan has built his 30,000 starting stack up to almost 160,000 after that hand, and is likely the tournament chip leader going into the second break. Registration is long from being over, but we've already noticed many recognizable names in Flight A. 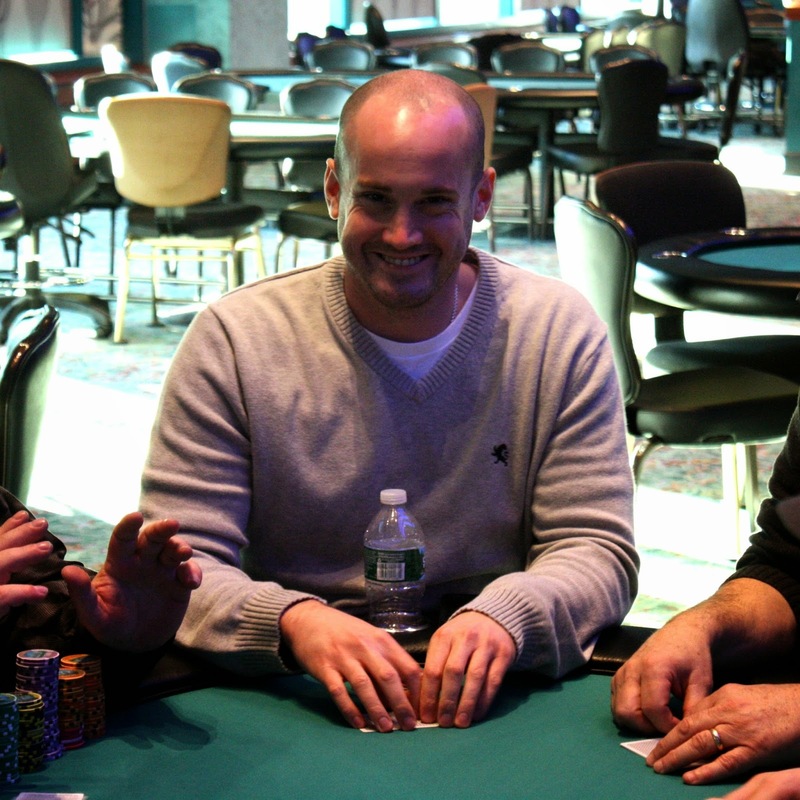 On our featured table, Kevin Calenzo occupies the 2 seat while Silvio Mantuano is in the 4 seat. 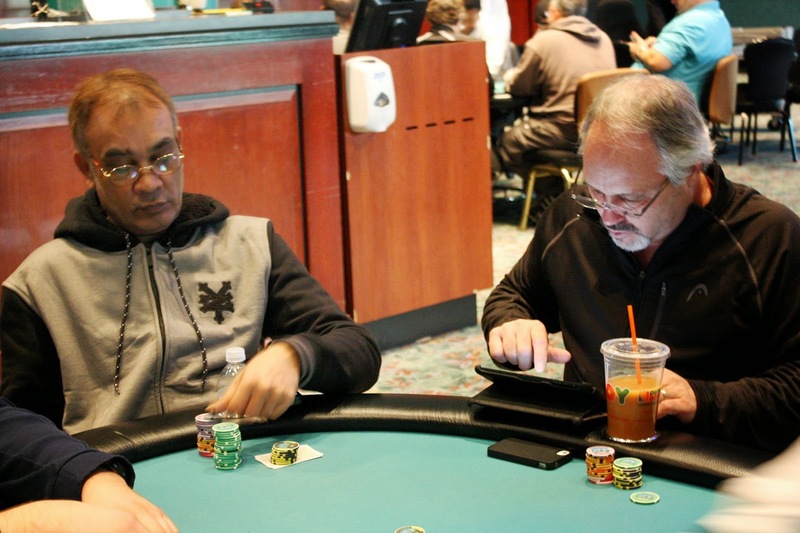 On another table, Mike Nye and Raj Patel are seated next to each other. 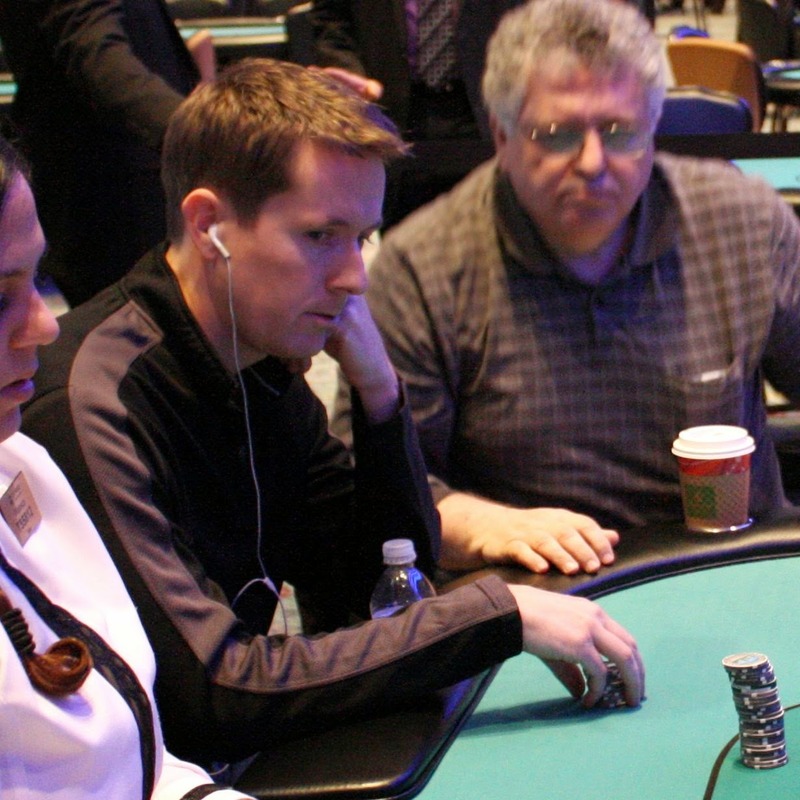 On other tables, we noticed Dave Stefanski and Je Wook Oh. 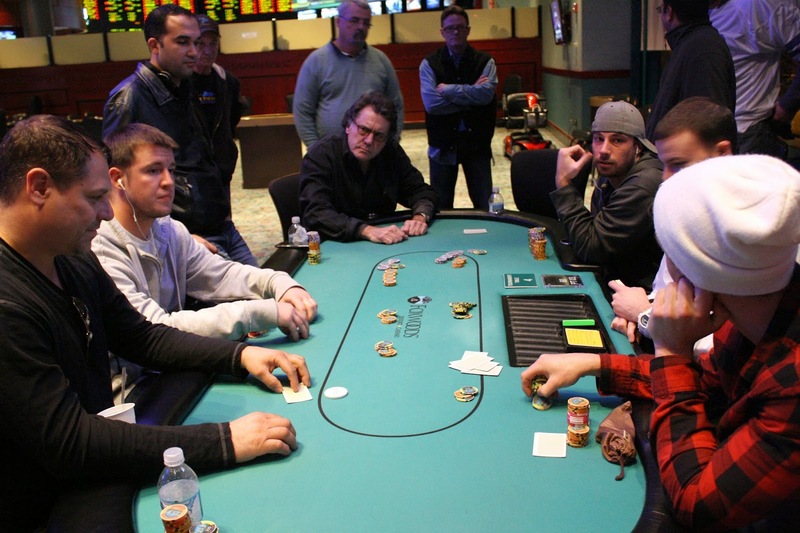 Cards are in the air for Flight A of Event #10 $1,650 NLH. 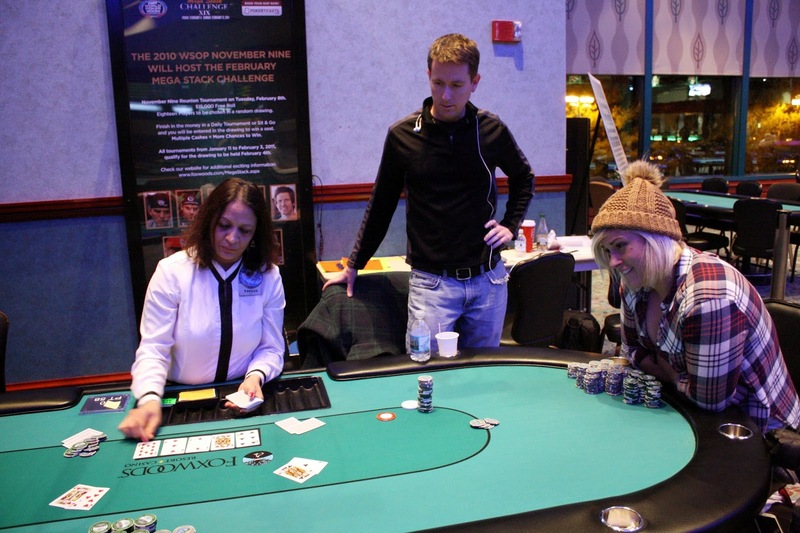 This is the Championship Event with a $300,000 Guarantee! 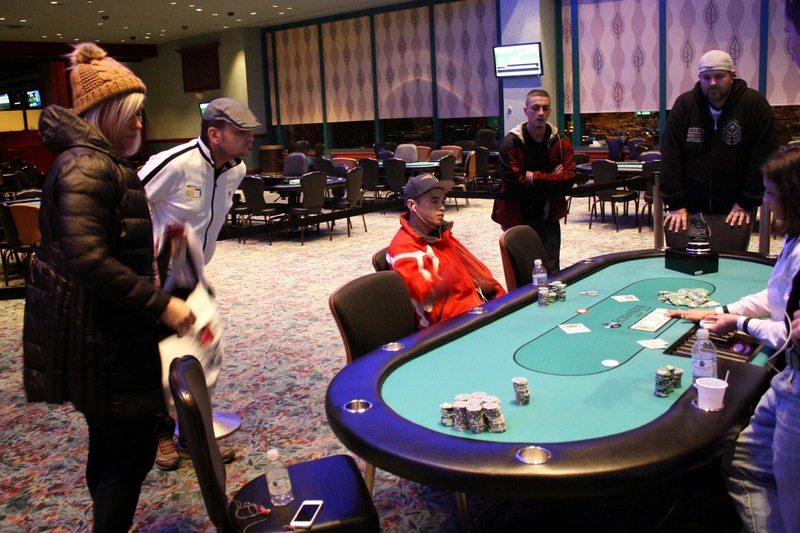 Players start with 30,000 in tournament chips, and levels will last 40 minutes on Day 1 and 60 minutes on Day 2 and 3. Registration is open through the end of the 8th level. A full structure is available here. Flight B will begin at 5pm, and the survivors from both flights will combine tomorrow at 12pm EST. Two more $200 Mega Super Satellites TODAY! 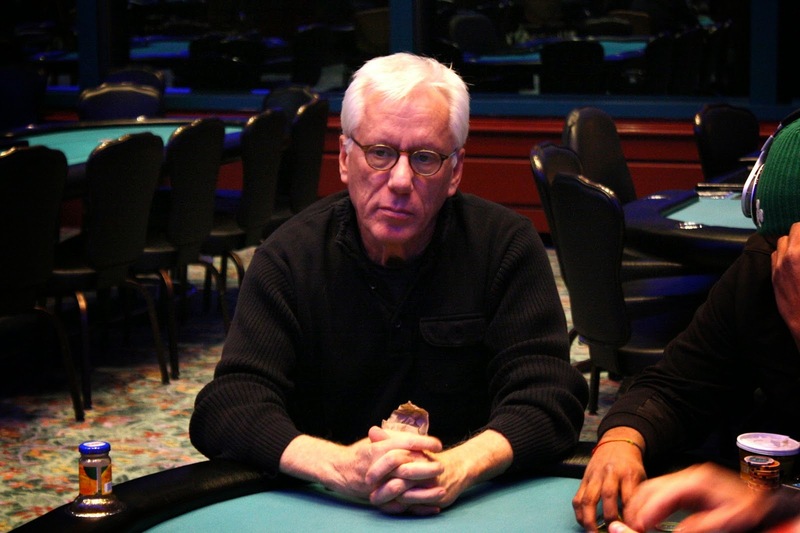 If you want to satellite your way into Event #10 $1,650 Main Event, you still have two chances. 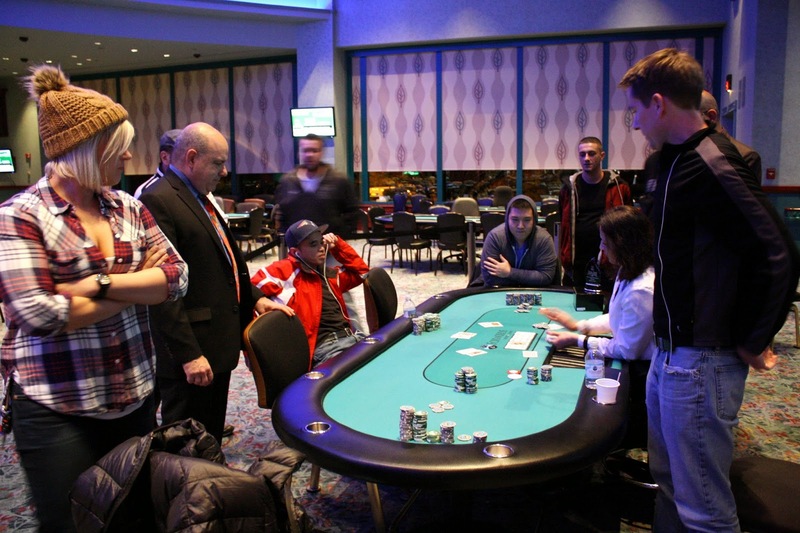 At 9am and 1pm, there are $200 Mega Supers running, awarding seats into the Main Event. Both events are turbos, which means 10 minute blind levels. Registration is open until the end of level 6 in each tournament. A full structure is available here. The board read [5s][9d][4d][Qc][Kh] when Vinh Dang moved all in, having Jonathan Rodgers covered. Jonathan thought long and hard and eventually made the call with [Qs][7c] for second pair. 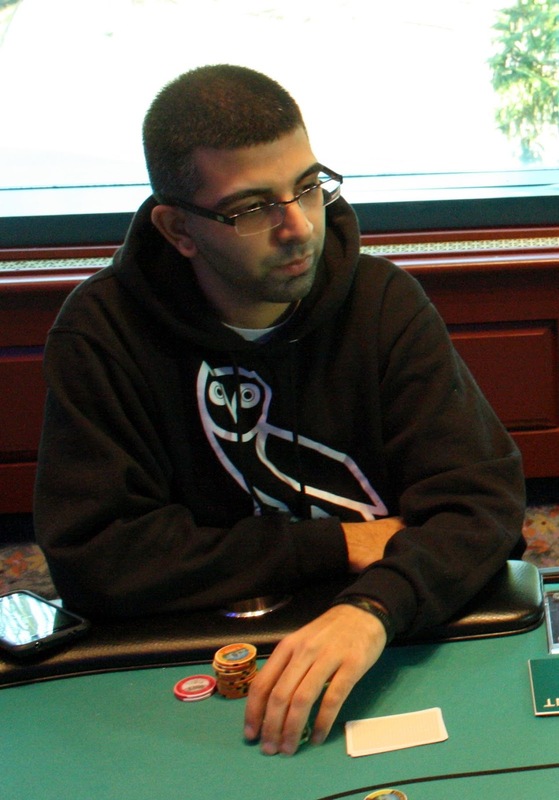 The turn was an unfortunate card for Jonathan as Vinh had flopped two pair with his [5h][4s]. 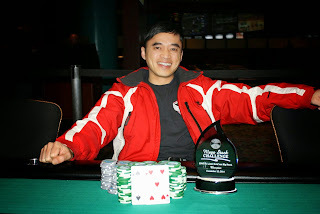 Vinh Dang will win Event #9 $300 Big Stack. 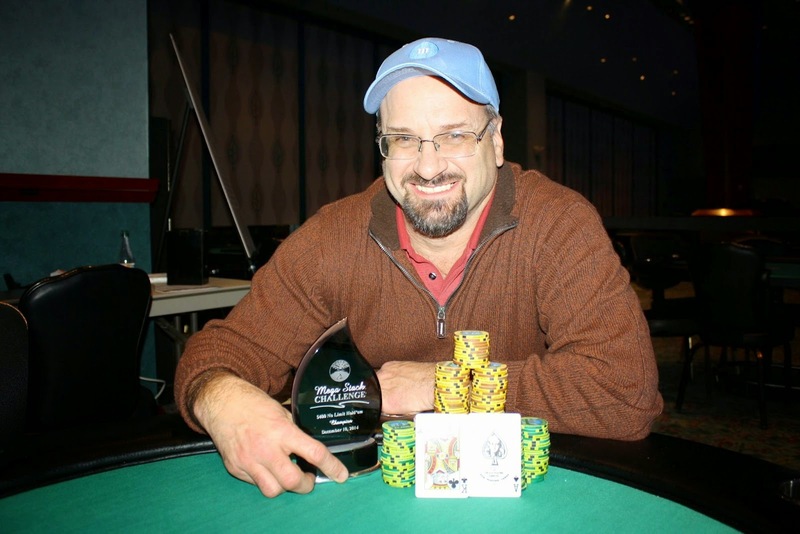 He will take home the title, the trophy, and the $14,402 first place prize. Congratualtions, Vinh! 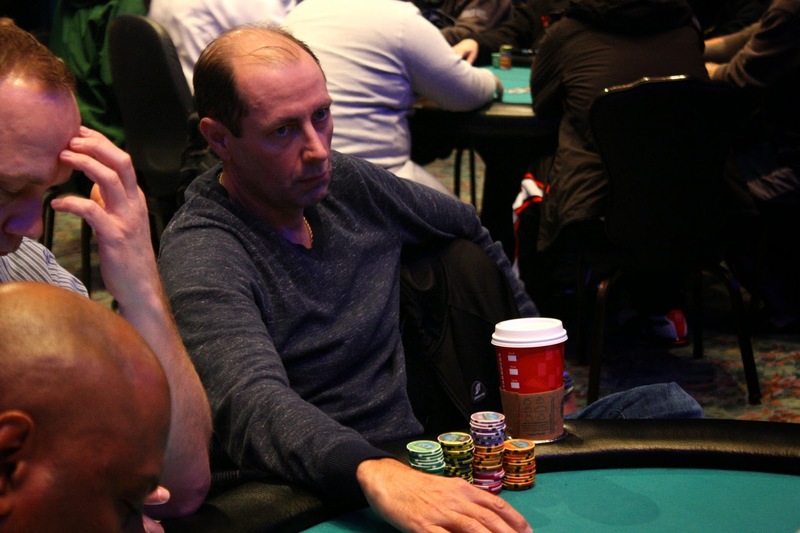 On a [Qc][4c][8h] flop, Beata Wielgoszewski bet 560,000 before Vinh Dang moved all in. Beata thought for awhile, but eventually called all in for less. It was a good call, as Beata had the best hand with [Qh][3s], but would have to fade the flush draw and overcard of Vinh's [Kc][5c]. The [2d] was safe, but the [Ac] river gave Vinh the nuts and sent Beata to the rail. 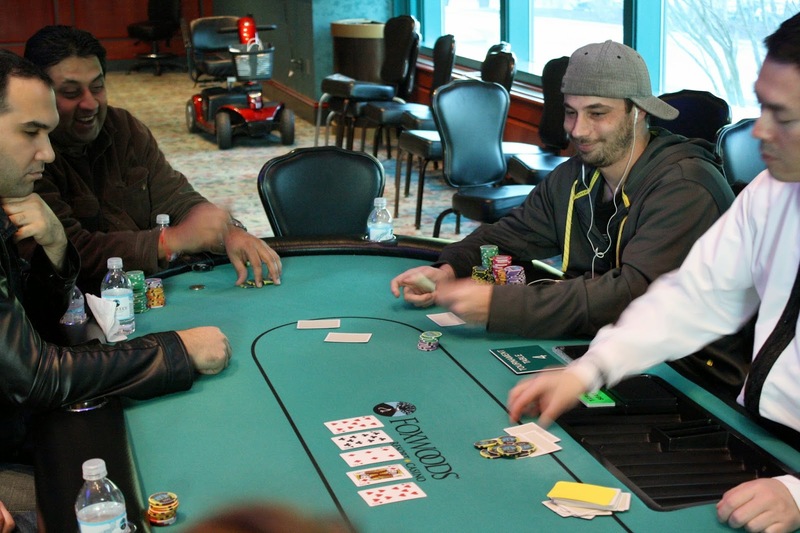 Beata will earn $5,868 for her 3rd place finish here today. The board ran out a pure [6c][Qh][2d][3h][Td] and Jonathan will double up to 1.05 million. 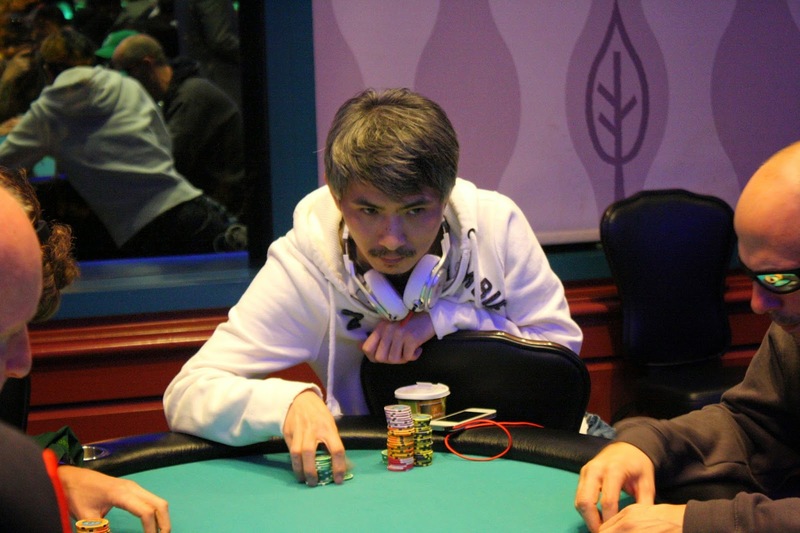 Under the gun, at 40,000/80,000 blinds with a 10,000 ante, Christopher Leong moved all in for just over a million. Jonathan Rodgers was next to act and called all in for less. Beata Wielgoszewski had a big decision and eventually called the both allins, having both opponents covered. Vinh Dang broke the tension by saying, "Oh, I have cards?" 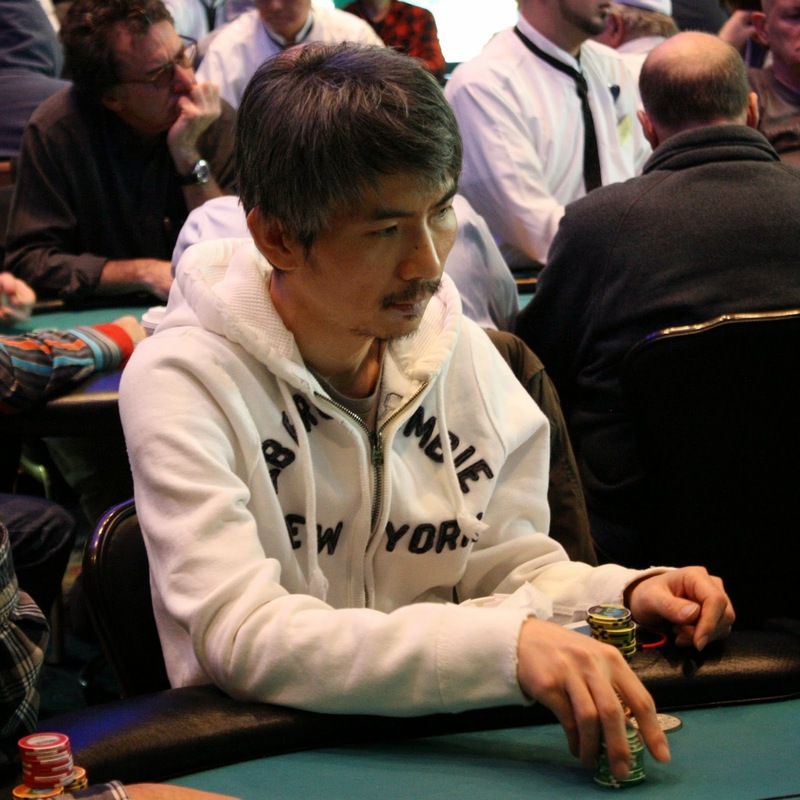 The crowd laughed, and Vinh folded. 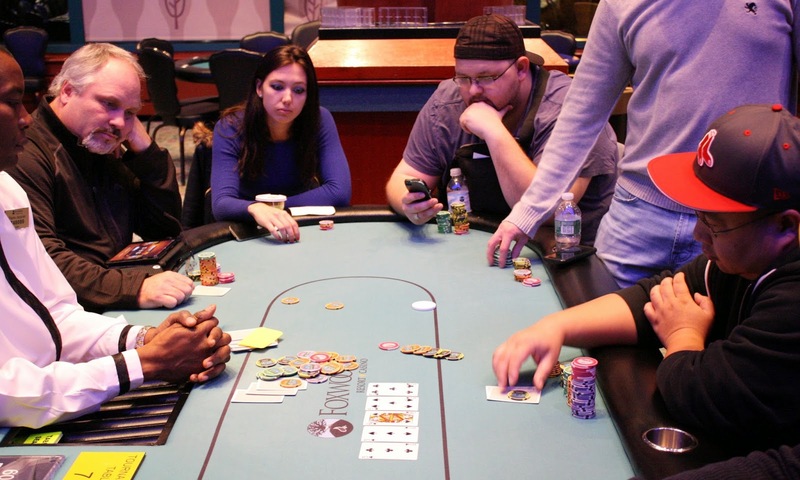 The flop fell [5d][Qs][6h], keeping the ace kings in front. Christopher would need a jack or a ten to survive, but he failed to find it as the board ran out [6d][2h]. 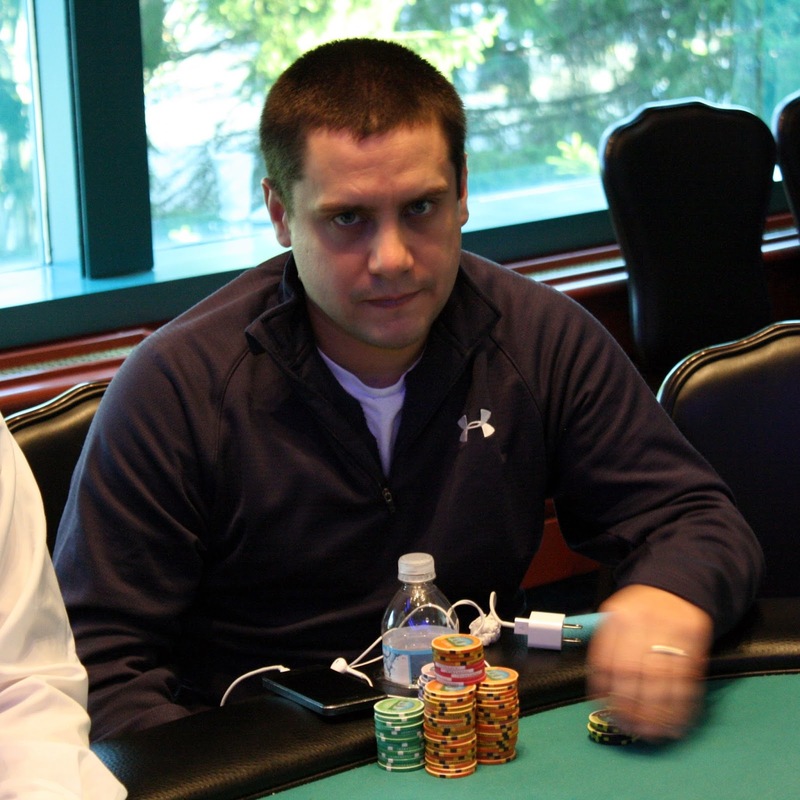 Christopher will be eliminated in 4th place, good for $4,741.